Last August I went to the D23 Expo with thousands of other Disney fans to learn about everything new that was coming to Disney. During the Expo the plans were released for an expansion to Hollywood Studios in Orlando, Star Wars Land. When the announcement came, there were people screaming from excitement. It was such a rush to be apart of that. While construction on the new Star Wars Land doesn’t start until April, you don’t have to wait to get your Star Wars fix at Hollywood Studios. 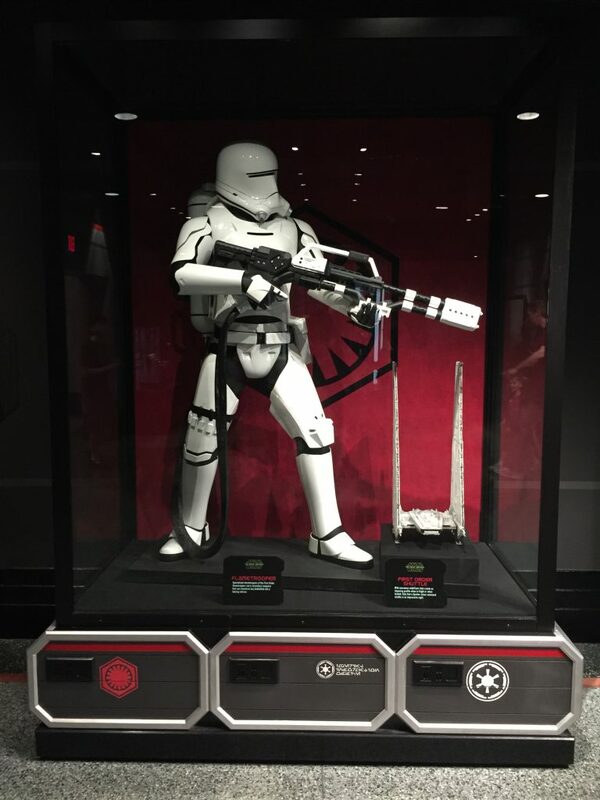 Last month when I was at the Zootopia Press Event we visited Hollywood Studios and got to experience some of the Star Wars attractions currently at the park. Some of them are new and some of them have been reimagined since the release of The Force Awakens. One of my family’s favorite attractions at Hollywood Studios is Star Tours. The last time we were there it was my son’s very first time and while he was a little apprehensive at first, he loved it! We went last year and since then it has been updated with The Force Awakens characters and droids. It still tells the same tale and R2D2 is still at the controls but now there are some cameo appearances from Finn and BB-8. The Jedi training has a new villain in its training program. 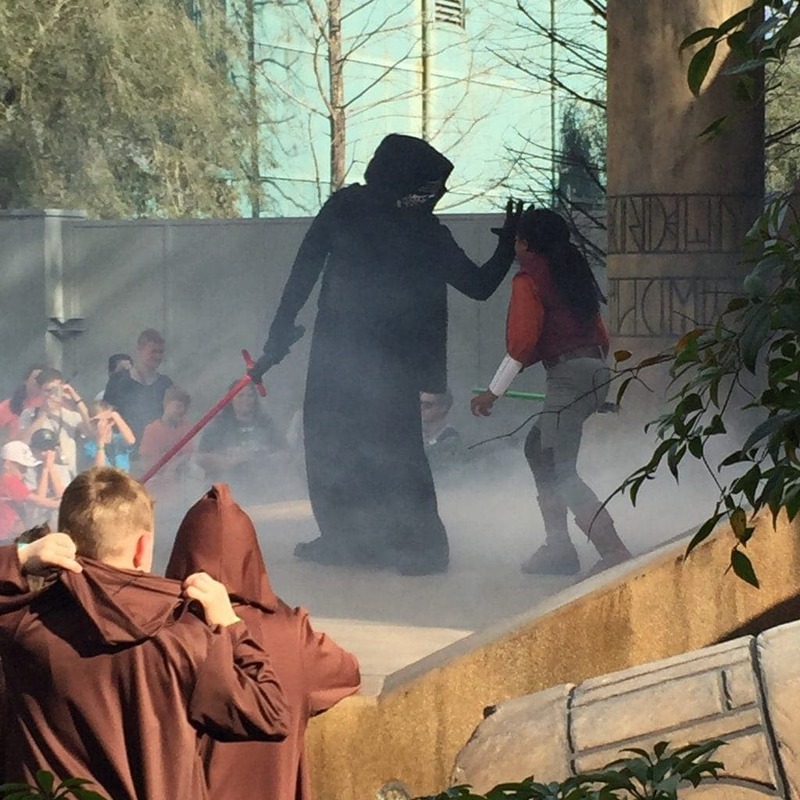 Kylo Ren is now apart of the training show that puts your kids on stage learning the ways of the force. Symphony in the Stars: A Galactic Spectacular is a fireworks presentation with a Star Wars theme. During the show you hear music from Star Wars, including The Force Awakens. You will also hear your favorite characters like you have never heard them before. 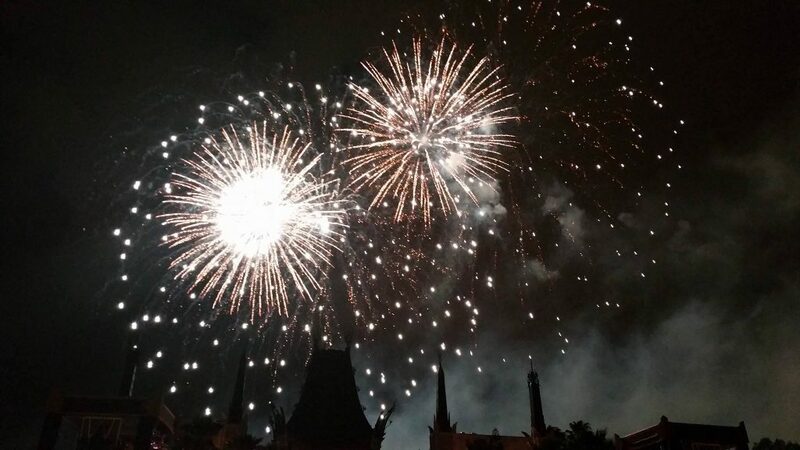 The fireworks display is spectacular and you don’t want to miss out on the best spot to view it. We were invited to A Galactic Spectacular Dessert, a themed dessert party with the best view in the park. 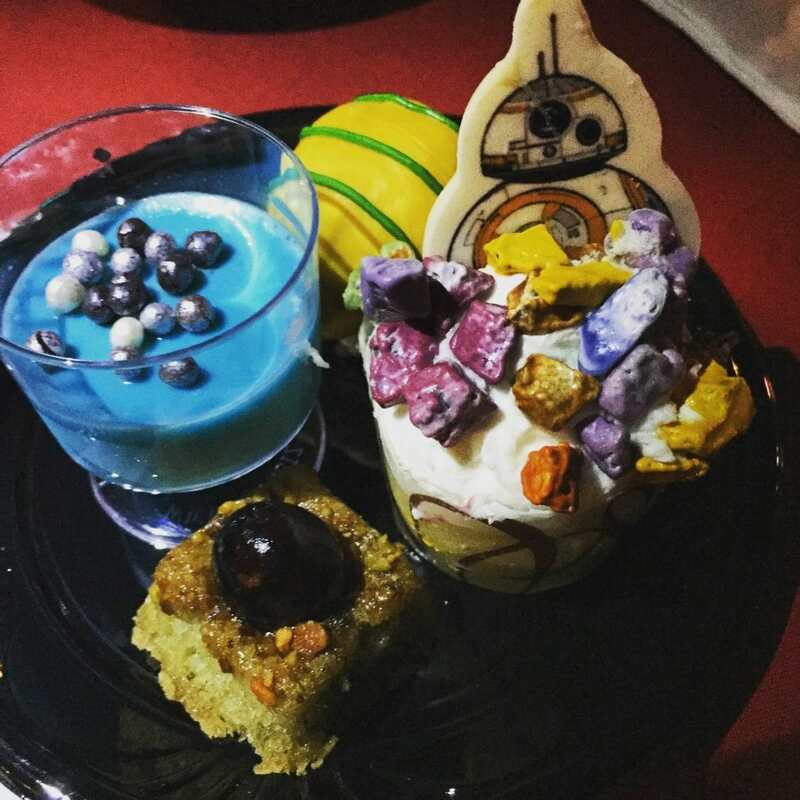 The party includes Star Wars themed desserts and speciality drinks (alcoholic and non-alcoholic) that the entire family will enjoy. You can enjoy these tasty treats while standing at the prime viewing spot for the fireworks show. A Galactic Spectacular Dessert is open to the public and you can purchase your tickets ahead of time. I strongly suggest trying this out on your next visit to Hollywood Studios! 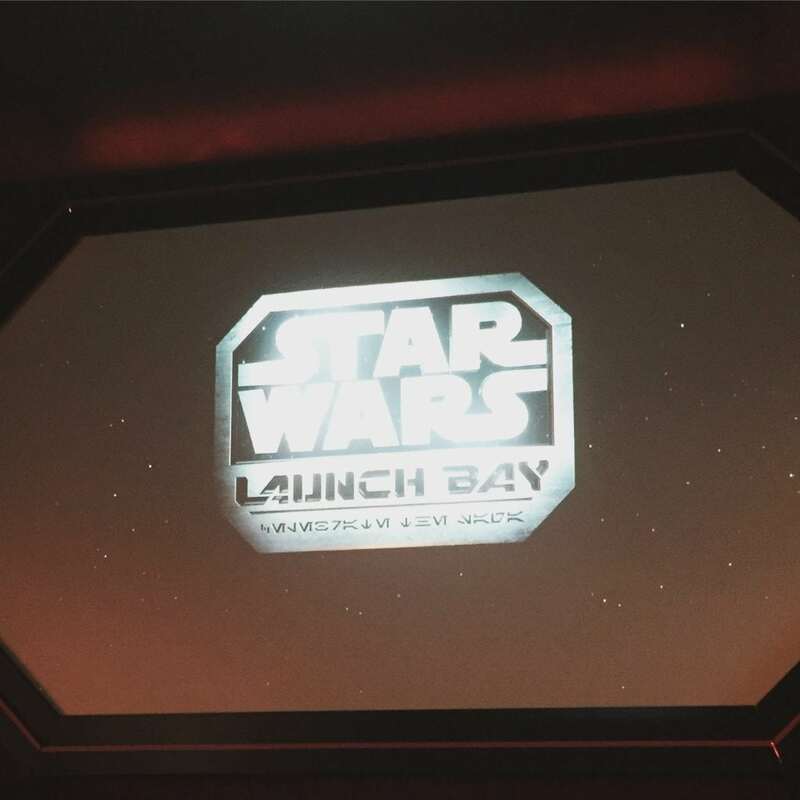 If you are a Star Wars super fan I would highly suggest spending some time at Star Wars Launch Bay. 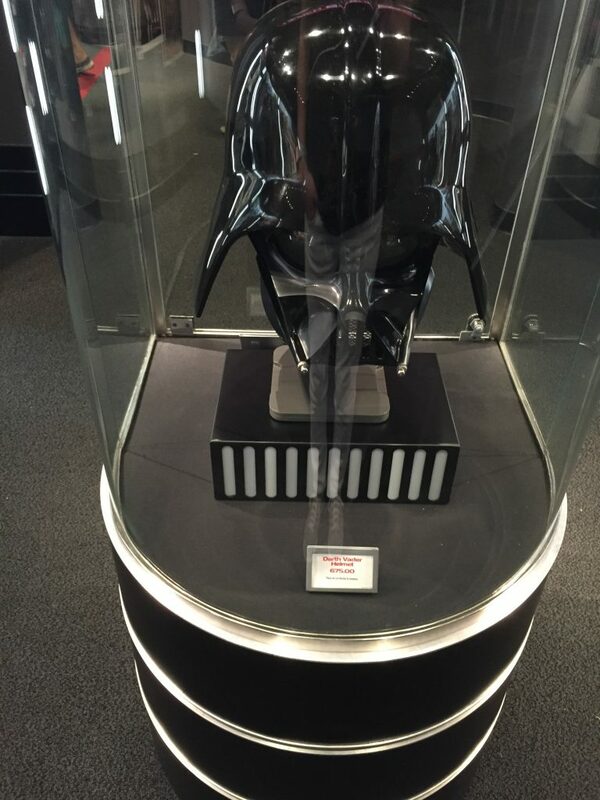 The Launch Bay houses some pretty spectacular Star Wars replicas, movie props and more. You can also meet Chewbacca and Kylo Ren here for a photo opp. There is so much to see and do, and of course there is a shop here where you can find the best Star Wars souvenirs in the park. Inside you can also find Launch Bay Theater where you can watch a 10 minute video featuring directors, cast members and crew of the films celebrating the universe that is Star Wars. Each person talks about what the films have meant to them and how excited they are about working on them. It is a very moving and personal show that I think everyone will enjoy! 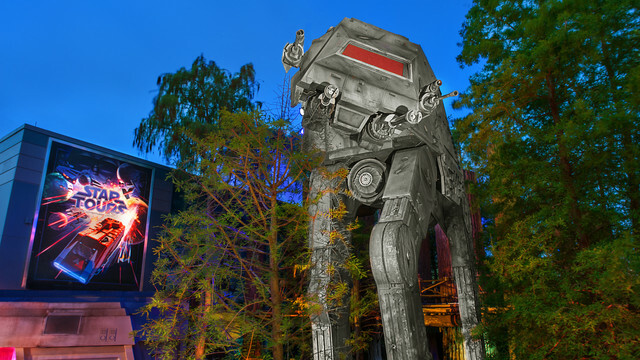 Star Wars fans are going to love everything that Hollywood Studios is offering right now at the park. These are great attractions, rides and experiences that have enhanced the park and have made waiting for Star Wars Land to open a little bit easier. Speaking of Out of this World, did you go see that Zootopia broke box office records this week? Make sure you go soon so you know what all the hype is about. Later this week I will also be sharing my experience at Magic Kingdom so be sure to come back!